Rubenerd: #Anime Crowdsourced Moe Day 2011 post! #Anime Crowdsourced Moe Day 2011 post! 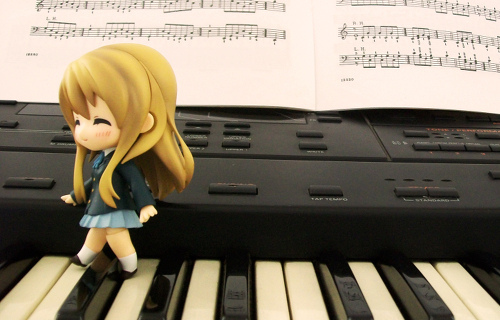 On Twitter this afternoon I said I couldn't justify posting a moe picture here for Moe Day 2011 given I'd only just posted this picture of Mugi-Chan recently. @Sebasutan and @hanezawakirika would have none of that however, and told me to post another one anyway. Then I was sent <a href="http://www.pixiv.net/memberillust.php?mode=medium&illust_id=21336350">the adorable picture you see above, and was encouraged to blog about it! This could very well be the first entirely crowdsourced blog post in Rubénerd.com's 4054 post history. I need more of these ^_^. Newer post ← CNET have their old logo back!